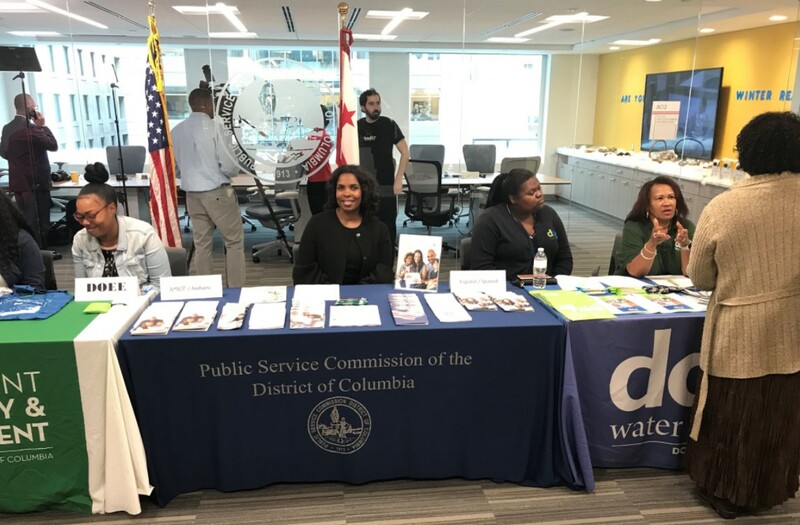 The Public Service Commission of the District of Columbia (Commission) launched its Second Annual Winter Ready DC Campaign in October with a Community Training. 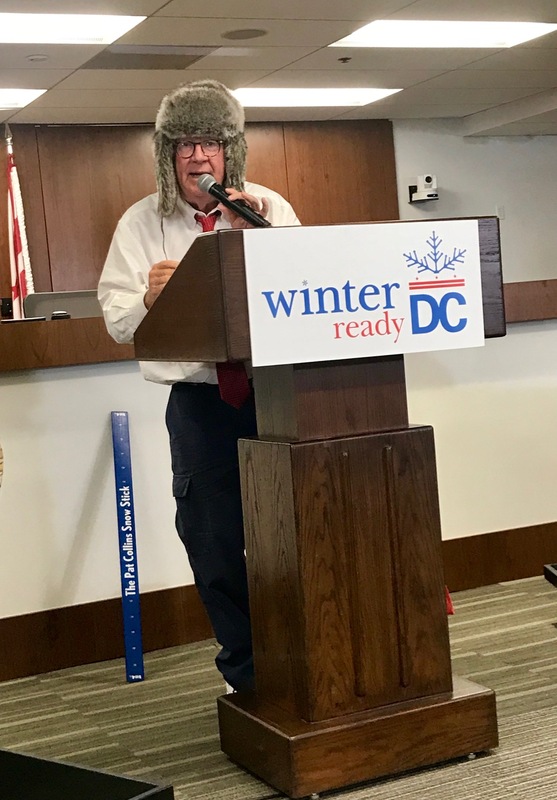 The Winter Ready DC Campaign and Community Training provides the community with essential information about services available for District residents and steps to take to prepare for the upcoming winter. During the training, representatives from Pepco, Washington Gas, Verizon, DC Water, and various District Government agencies were on-hand to make presentations to attendees. Home contractors were also available to provide cost effective tips on how to weatherize your home and save energy. This year, the Commission also recognized a community leader, Anthony Wood, Founder and CEO of Neighborhood Organized Workforce, Inc., who focuses on education and HVAC training to unemployed and low-income residents in District neighborhoods. Throughout the winter season, the Winter Ready DC Campaign will be coordinating public engagement events with community groups and providing winterization tips on the Commission website and social media platforms. promotes the Utility Discount Program. The Commission requires Verizon DC, Pepco, and Washington Gas to offer discount rates to income eligible residential consumers. Consumer Specialists can assist you with the application. The DOEE can help you with your energy and utility bills with financial assistance, discounts and late bill forgiveness programs. The DC Office on Aging develops and carries out a comprehensive and coordinated system of health, education and social services for the District's older adults (60 years and older), people with disabilities (18 to 59 years old), and their caregivers. The DCSEU helps DC residents and businesses use less energy and save money. DC Water offers a variety of programs to help eligible customers pay their water and sewer bills. The District of Columbia Telecommunications Relay Service (DC Relay/ 711) is a program of the Public Service Commission of the District of Columbia. is the DC Relay provider for the District. DC Relay provides a 24-hour communication service that connects people who are deaf, hard of hearing, deaf-blind or have difficulty speaking that may use specialized telephone equipment to people who use standard telephones. HSEMA is to lead the planning and coordination of homeland security and emergency management efforts to ensure that the District of Columbia is prepared to prevent, protect against, respond to, mitigate and recover from all threats and hazards. The OUC provides centralized, District-wide coordination and management of public safety voice radio technology and other public safety wireless communication systems and resources such as 911 and 311. SAFELINK WIRELESS® is a program serving eligible households and is provided by TracFone Wireless, Inc. To participate in the SAFELINK WIRELESS® service, certain eligibility requirements must be met. These requirements are based on a person’s participation in state or Federal support programs or by meeting the Income Poverty Guidelines as defined by the U.S. Government. 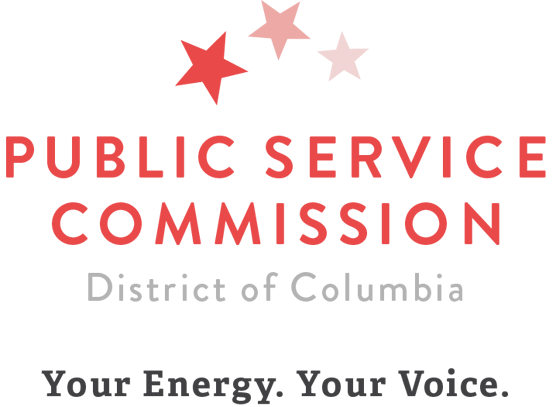 SAFELINK WIRELESS® is regulated by the Federal Communications Commission (FCC). To help D.C. residents prepare for the upcoming heating season, Washington Gas has compiled important information about energy efficiency, conservation and energy assistance. Enact resolutions to issues facing the Washington, DC community, efficiently and proactively, through collaborative partnerships with District of Columbia Government agencies, offices or elected officials and a relentless commitment to the betterment of our community. Pepco can help you prepare and manage your energy bills through flexible payment options and assistance programs. Serve DC works to ensure all District communities are prepared in the event of an emergency. Serve DC provides critical volunteer support – including managing the coordination of volunteers, volunteer services and donations – to the District’s official emergency response effort. Verizon offers Lifeline plans for home phone service or broadband (Internet) service. Lifeline is a government assistance program that offers discounts to qualified low-income customers.